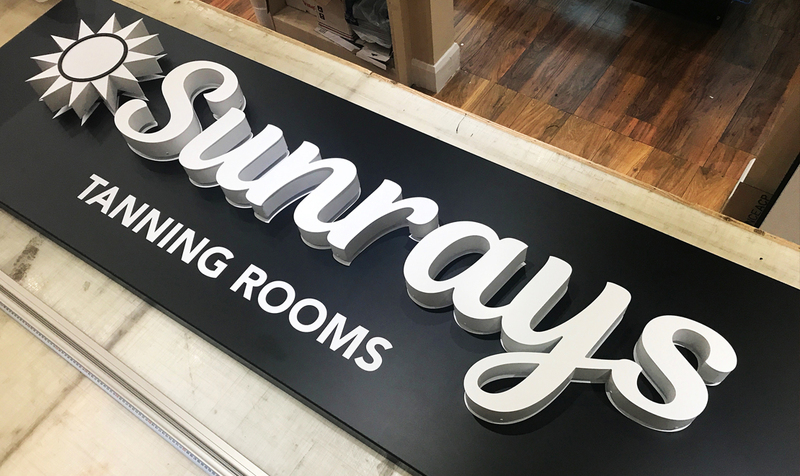 The Sun is certainly shining from this shop sign we produced for Sunrays Tanning Rooms. The built-up lettering with the LED halo really does stand out and looks great in the day and even better at night. 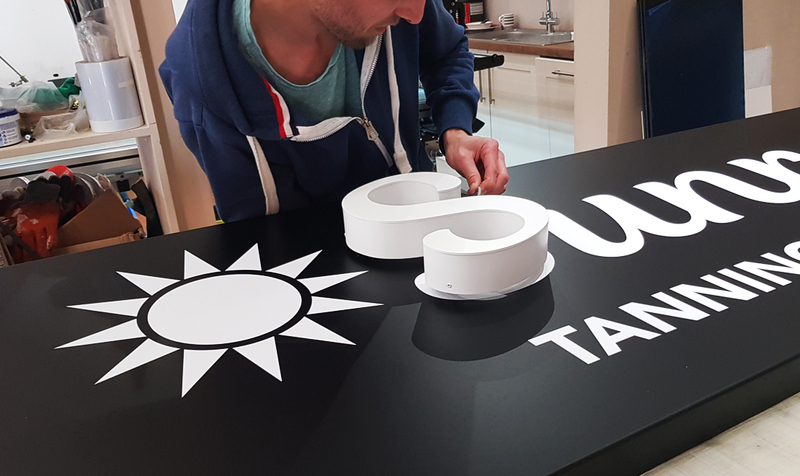 We refurbished the backing plates adding black vinyl, and the new custom-made 3D lettering, powder coated in white. 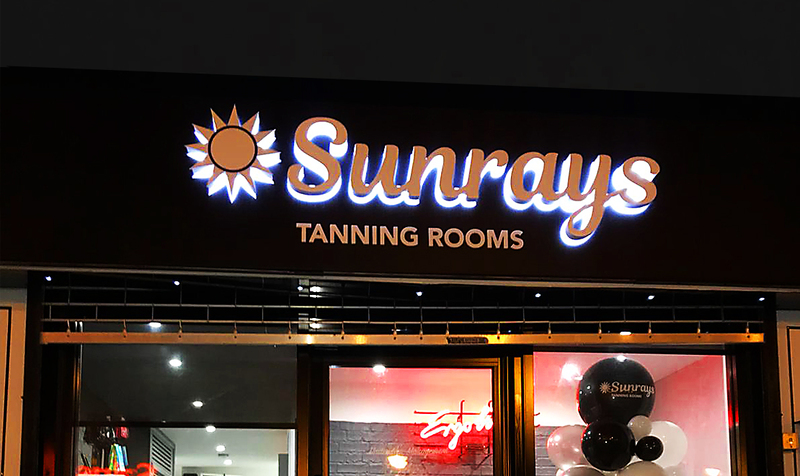 We have many years of experience in custom sign making. Get in touch to discuss the possibilities.